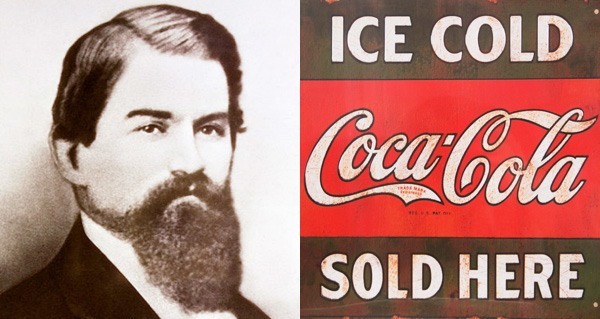 Why is Coca-Cola Called Coca-Cola? After sustaining a life-threatening injury while serving in the confederate Army, Doctor John Pemberton became addicted to morphine. After years of struggles, he flipped a switch and became determined to move past his addition and improve his life. Who knew this would lead to one of the most recognized brand names in history? He shifted his focus to creating a new drink. Pemberton made a concoction of kola nuts and coca leaves, which he mixed and converted into a syrup and added carbonated water. Together, the two ingredients formed a cola. He finalized the formula on May 8th, 1886, in his laboratory in Atlanta, Georgia. Later Pemberton took the syrup to Jacob’s Pharmacy in Atlanta and sold it for 5 cents a glass as a medicine to improve energy levels and helps those battling a cold. Why is it Called Coca-Cola? At the beginning, while crafting and experimenting with his medicinal beverage, Pemberton made an alcoholic drink called French Wine Coca. He registered the drink in 1885, but prohibition laws in Atlanta prevented him from selling it. In true entrepreneurial fashion, he pivoted, and created a similar, non-alcoholic version. However, this go-around, he made the syrup similar to the French Wine Coca. Pemberton turned to Frank Mason Robinson, his partner and bookkeeper, who suggested the name Coca-Cola for the syrup formula. Coca, which was derived from Coca leaves and Cola from kola nuts. Pemberton faced a couple hiccups with his beverage at the time, as it contained coca leaves during a period where cocaine was at the center of a national debate. The substance had traditionally been used medicinally, but its more insidious effects were being explored. Because cocaine is a highly addictive substance, the manufacturers of the drink did not want to be known for creating a cocaine addiction in the market; however, the creators wanted to keep some amount of coca extract in the syrup for their soda to protect the trademark “Coca-Cola.” By 1902, there was still a trace of cocaine – about 1/400 of a grain per ounce of syrup – in Coca-Cola. 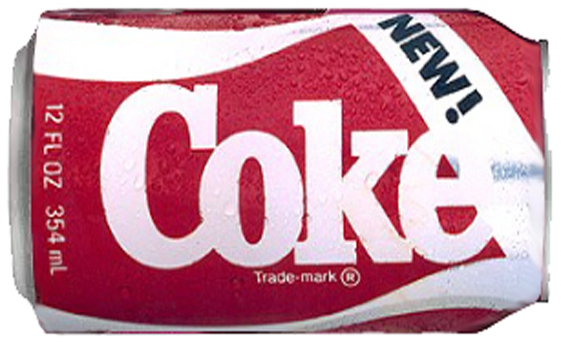 By 1929, the soda became cocaine-free, and the beverage was still able to maintain its name.